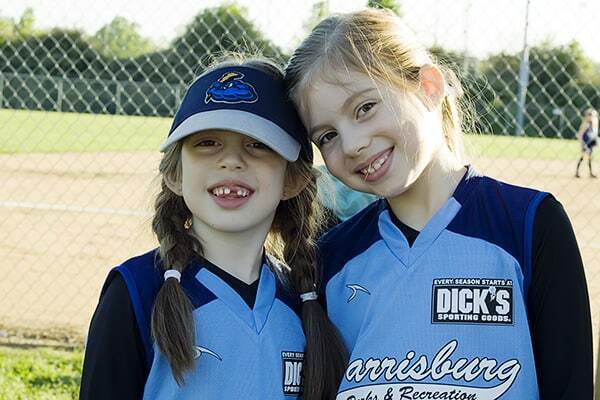 Miriam and Rebekah are really enjoying playing softball on the same team this season. 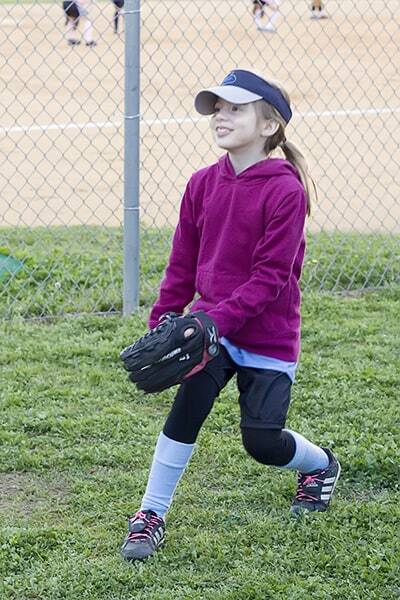 During last week’s game Rebekah was thrilled to get her first base hit! She practically jumped and skipped her way to first base after connecting with that ball. She almost missed the next play because she was still celebrating when the ball was hit. In the course of the game she hit the ball at all three at bats- making it to first base twice and hitting one foul ball. Miriam also did an amazing job at the game. She was able to play pitcher and short stop for the majority of the game and was so excited to stop the ball and make several really good plays to first base. Once, she just barely missed tagging a runner out on the way home. Softball and soccer are family affairs for us. When ever possible the entire family goes to each practice and game. We all enjoy the excuse to spend time outside enjoying good weather and watching sports. Peyton is particularly fun to watch. I imagined that she may be bored or even frustrated with the fact that the big kids play sports and she doesn’t. However, she is an awesome little cheerleader. 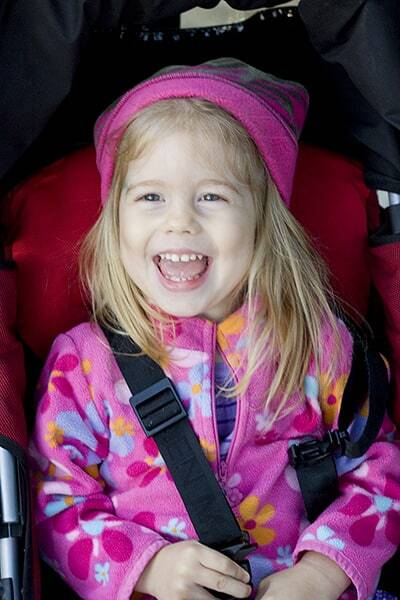 She yells and cheers for all her siblings while they play, even during practices. Emily is a bit tough at this age though. Last year it was easy to hold her and watch games. This year she wants down!